PERFECT PERFECT PERFECT! Popolo's food is amazing!! We hired them for our wedding 6/10/17 in Paso Robles and I had several people raving about the food. But more than that, Popolo made the entire process so much easier on us. The whole staff is extremely helpful, and Leon (the owner) is completely down to earth which actually helped make me stay calm. I knew that he understood what we wanted and and the fact that he was so easy to talk to made me confident that everything would be great! And it was! The staff was professional and amazing. One server even came over to us with a tray of appetizers while we were taking photos which I really really appreciated. Then Leon personally served us our meal at the reception so that we could just relax. If you want GREAT food from a professional, helpful staff at a reasonable price you have to go with Popolo! Thank you so much Leon, Kat, Abby, and everyone else! We loved having Popolo cater our wedding. The food was exactly what we wanted - DELICIOUS! Our guests were raving about the tri-tip and the mashed potatoes. Working with their team was a breeze. They made it very easy and stress free to make adjustments and changes as the deadline approached. The pricing was also very reasonable. Would definitely recommend them for a wedding or any other event! Our entire experience with Popolo from start to finish was great. They maintained such a high level of professionalism and customer service I was thoroughly impressed. 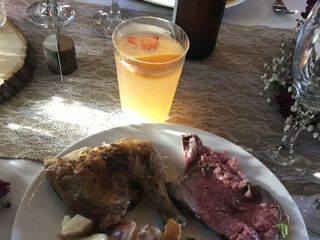 The food was amazing, the staff was amazing, and they helped make my wedding amazing. Our guests raved about the food and many went back for seconds! I highly recommend them! Thank you for taking the time to write a review of your experience with us! It was a pleasure working with you and we are thrilled that you had an amazing day! We wish you all the best. I was blown away by the professionalism and level of service I received for my wedding from Popolo Catering. From the tasting to the wedding day, we were in constant communication. Popolo staff was lovely and very accommodating. We had plated dinner service and served prime rib and salmon, which were both outstanding! Popolo catered a fabulous family dinner for us after our reception. They were very accomodating, gracious, efficient and friendly. The catering office was very responsive and easy to work with. The servers were wonderful and the food (tri-tip and salmon with all the fixings) was top-notch. Everyone enjoyed it SO much! Thank you, Popolo!!!! Kat and Leon from Popolo Catering were such great vendors to work with. Their company catered both our rehearsal dinner and our wedding night. Everything that we ate was cooked to perfection, and our guests kept commenting about how flavorful their tri-tip and chicken was. I loved using the "quote maker" on their website to get an idea of my ideal menu, and the fact that they had a huge menu to choose from! They are affordable, friendly, and serve delicious food! Thank you Kat and Leon for a wonderful wedding weekend! Hello Joe! We absolutely enjoyed working with you and are ecstatic that you had such a wonderful experience with us! Thank you for taking the time to write such a lovely review. We wish you and yours the very best and appreciate you for choosing Popolo Catering! First off I have to say Kat & Leon are amazing people! And there food was phenomenal! When we met them for our tasting, we loved their energy & passion and we knew we had found our caterer. 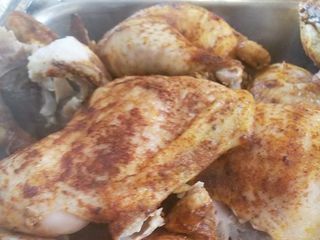 For our dinner menu we chose roasted chicken, tri tip with salsa, garlic mashed potatoes, sautéed veggies, tossed green salad with rosemary balsamic, and focaccia bread. 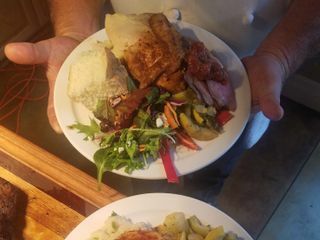 Our guests absolutely loved the food and went back for seconds. 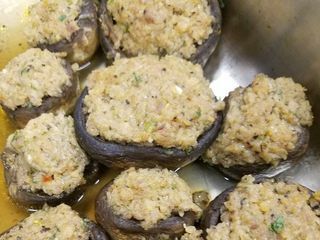 We also had tray passed appetizers: bruschetta & sausage stuffed mushrooms. We can’t thank our day of team enough for having everything run smoothly. We coordinated with Popolo for a bartender, beverage station, & dinnerware/flatware/drinkware. We had our rehearsal dinner catered by them too. We had a taco bar and it was perfect for our casual, backyard dinner & drinks. You can’t go wrong with Popolo catering your wedding. They are professional, affordable, quality, & a real family operation. I highly recommended all brides and grooms having full confidence hiring Popolo to cater your first meal as husband and wife! Hi Taylor, thank you for taking the time to write such a kind and thoughtful review! We were so happy to be a part of your and Andrei's rehearsal dinner and wedding day! It was beautiful and we are thoroughly pleased that you enjoyed the food and service. Popolo was by far the easiest vendor to work with during wedding planning. As soon as we met with Kat and Leon, we instantly knew that they would be a perfect fit for our catering, rental, and bartending needs. They, along with the whole staff, were such a joy to work with, responded quickly, ALWAYS updated our contract each time something had changed, and made us feel like family! Most importantly, the food was amazing! Our guests could not stop talking about how much they enjoyed the meal. I would recommend Popolo over and over again and we are so happy that we chose them for our special day! 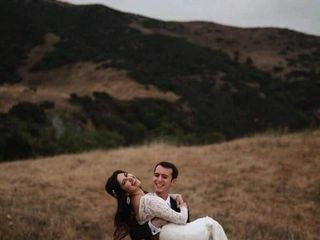 I started planning a California wedding before moving to Texas. It was extremely important that we have responsive vendors and a team that was able to provide a variety of services to limit the amount of vendors we had. Popolo's was perfect! We were able to get almost all our needs met, with affordability. Best of all, we got tons of compliments on the food. I was quite overwhelmed with all the contracts and planning, that I was confused with all that Popolo's was providing. Thank goodness the team was super helpful and accommodating! It was a pleasure reading your review. Thank you for taking the time to share your experience working with us. We pride ourselves on being there for our clients and are glad to know you found our services helpful and that the food got lots of compliments. We wish you and Rob the best. Popolo was the perfect match for us. Kat, Leon, and Monica were so warm and welcoming when we came out for a tasting. They were incredibly thoughtful and were such great listeners when we brainstormed for the menu. Our potato taquitos and our bacon wrapped jalapeños stuffed with dates and goat cheese were to die for! We kept shoving them in our mouths when we were waiting to be announced at our cocktail party! Everyone loved the carnitas we did for our taco bar as well. We would strongly recommend Popolo to anyone looking for a wonderful team who really deliver on deliciousness as well as customer service! Wow! What a great review! Thank you for taking the time to give us your feedback, it is greatly appreciated. Working with you and Mike was great and we are so glad to read that everything went well and that you loved your food (those taquitos were to-die-for!). Leon, Monica, and the rest of his awesome team helped to make our special day SO memorable, and not too mention delicious. Thank you so much guys! I'd highly recommend y'all to my bride/groom friends. Hi Jessica and Brian, it was a pleasure to get to know the both of you and we are very grateful to have been apart of your lives. We love reading how much you enjoyed our food and hope all is well for you! 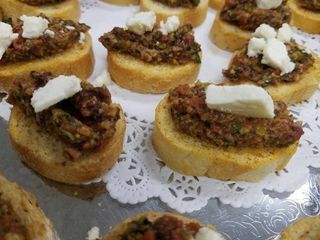 We had an amazing tasting and knew this was the perfect caterer for us!!! They made exactly what we wanted and we loved it all!!! Hello Jimmy and Ryan, so happy to read we were able to give you exactly what you wanted. It was a pleasure to have worked with you. Hope all is well and your enjoying life! Wonderful team! Monica and Leon were both extremely helpful and wonderful to work with. Both our tasting and wedding meal was absolutely delicious! We received lots of compliments from our guests on how good the food was! 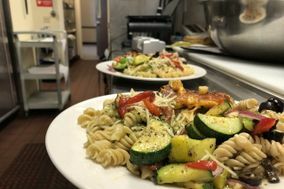 Hello Chelsey, we are pleased to read that you and your guests enjoyed every bite! We are very grateful to be apart of your lives and wish you the best. Popolo was absolutely AMAZING! They were so helpful and accommodating from the moment we met to the very end of our wedding night. The food was exactly what we wanted and so delicious and all of our guests to this day rave about how good it was. The staff was super friendly and the services was fantastic. Literally everything was perfect and so smooth. Popolo even remembered our wedding and the dinner when I called a year later to see if they could recreate our wedding dinner on our anniversary, which they did and it was just like we remembered. You will not be disappointed by Popolo! Monica and Leon were amazing. They were such a blast to work with and made our day go very smoothly. The food also turned out well and they even catered our rehearsal dinner with a taco bar which was a big hit with our friends and family. I loved that they've worked at our venue before and that they knew how the day would play out. They were also great at helping us book/order anything we needed and made recommendations for anything they couldn't do. It was a pleasure working with them. I can't thank them enough. Thank you so much for your kind words! We appreciate your feedback and wish you the best going into the New Year! Leon & his wife ARE AMAZING!! We loved working with them. They literally SAVED OUR WEDDING DAY! The other reviews were spot on - EXCELLENT FOOD & CUSTOMER SERVICE (which are 2 extremely important parts of any party / wedding). Leon & his staff are such sweet hearts & they all know the ins and outs of all wedding preparation. Your review for Popolo Catering is beyond appreciated! Thank you so much for acknowledging what we love to do! The levels of client satisfaction you have described, well, is humbling and beyond our hopes for a very sincere and genuine review. We are so grateful to have been a part of your wedding day! Leon is the type of professional and human being that will go to the necessary lengths to help create a bride's wedding day to be PERFECT! When Leon spoke to you on the phone preceding your wedding day, in trying to support you with the venue situation, he did what he does best -- COMMUNICATE! He did a great job pulling-together a wonderful support system to iron-out the issues at hand and everything turned out beautifully. Thank you Marlina for trusting us with your wedding day! We wish you and your husband all the best! Most sincerely with a big hug, Leon, Kat and the Popolo Catering Team! Popolo Catering was amazing at our wedding this past month. Abigail and Leon were very helpful during the planning process; from handling all of my revisions immediately to offering helpful suggestions and experience knowledge. Our day-of team was a dream and made sure we were happy at any given moment. We had the tri tip with salsa and chicken and it was seriously the best tri tip and chicken I've ever had. I haven't stopped thinking about it ever since we even had our initial tasting. Our guests made it a point to compliment how awesome they thought the food was. We had Popolo pretty much handle the most we could, from all the rentals, bar service, toast service, and desserts. They offer so many services and options; I'd recommend taking advantage of that. Popolo also catered our brunch the morning after the wedding and the food was phenomenal. We greatly appreciate your kind words! Our staff were more than happy to make things as easy as possible for you and we thank you for the amazing review on our team members and food. We loved serving you and wish you and yours the best! Who you choose as a wedding caterer is arguably one of the most important decisions you'll make as your planning your wedding, but you can't go wrong if you go with Popolo! From the first time we met with Leon the owner and Abby (event manager) we knew we were in great hands. 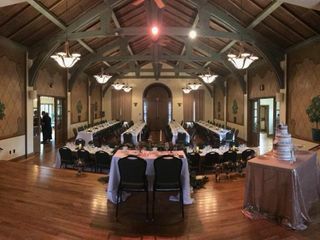 We got several quotes and went to a couple of tastings from various other caterers, but no one was able to match both the value and quality of Popolo. Throughout the process, I had tons of questions for Abby/Leon and they both were always super responsive, which made working with them a dream. Both Leon and Abby made sure that all our needs were met. On the day of, the day went smoothly because they took care of set up, catering and breakdown and even bartending! The service and the food (Santa Maria style BBQ) were great and everyone was happy! I'd most definitely recommend Popolo to anyone! Hello Lorena, We agree! Choosing a caterer is very important and can be one of the more difficult decisions in your wedding planning. We appreciate your recommendation and were more than happy to assist you as much as possible for your special day! The food and service from Popolo's was excellent. They performed their job efficiently and were very professional in every aspect from planning to actual execution of the dinner and service. The dinner and dessert bar were delicious. I would recommend Popolo's to anyone looking for a caterer in the San Luis Obispo area. Hello Lori, Thank you for your fabulous review! We appreciate the kind words on our food and service and wish you the very best! Popolo Catering is the greatest catering company hands down. Leon and Abby were such joys to work with, and they made my husband and I feel like their most important priority with the way the handled food for our wedding day. They were so communicative, helpful, and professional throughout the entire wedding planning process, which I really appreciated. The food was outstanding. My guests were raving about the quality of the food, and not a single guest left hungry, which was my goal!! I have only amazing things to say about Popolo and the services they provide. It was an honor to have them cater my wedding! Thank you so much for all of your kind words. It was an absolute joy and an honor to cater your wedding. Couples like you are what make us love what we do. We look forward to seeing where the future takes you! Popolo Catering is AWESOME!! They will work with you to achieve what ever your desires are. Food is amazing and service is beyond expectations. Don't waste your time looking for other vendors. Popolo is perfect for you. From the minute we met with Leon, Kat & staff over the top customer service. Very dependable, knowledgeable in the industry with lots of resources if needed. Customer Service First Class all the way. Not to mention the food, dessert bar & service was superb. Popolo will forever be connected to our family ! Thank you for the wonderful job at our daughters wedding ! We hired Popolo to help us create a backyard BBQ feel to our wedding. They were very flexible throughout the entire process. We had to make several changes to guest count and services we wanted. They even called me a week before the wedding to make sure everything was coming together smoothly, let me know that rain was in the forecast and helped me with a Plan B in case it did rain. An amazing company.